Where? 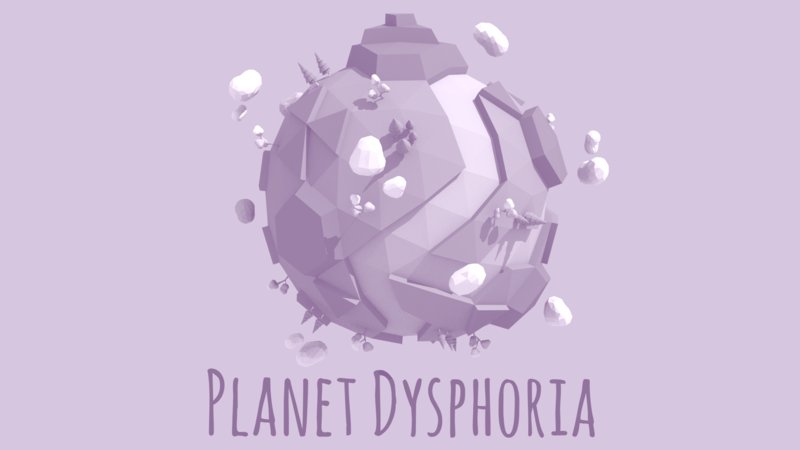 Planet Dysphoria -- the manifestation of gender dysphoria. Who? A person in their twenties experiencing dysphoria. How? 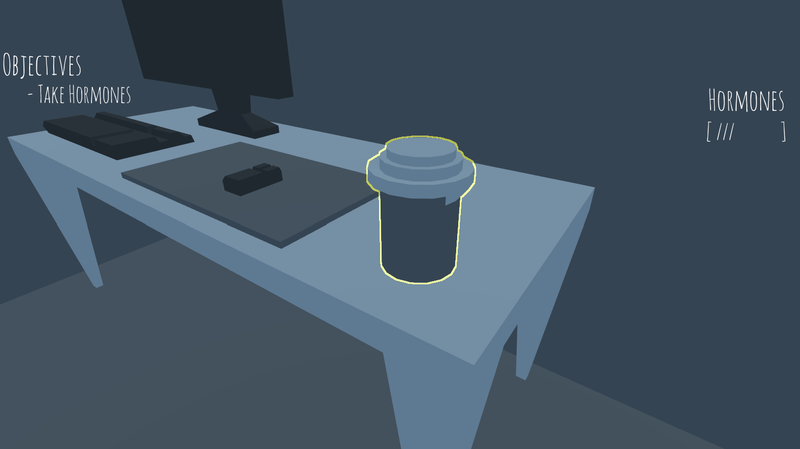 First-person-POV, mystery game with point and click interactions. If I'm honest, I'm not a fan. I really like the idea, but I'm not sure this really accomplished what it was trying to. The game doesn't really convey the feelings that it should. For the metaphor to really hit home, the place you were in needed to make you feel trapped and uncomftorble. That way there would be some sort of payoff when you escaped. I think this could really benefit from some improvements. I really respect what you are trying to convey, and I do think it's important for people to know about these things. I just wasn't in love with the execution of the idea. Nice game, bit short and the buildings seemed a bit unfinished ( the walls where missing in some places). I liked it. I loved the atmosphere of the game but like some others feel it needs just a bit more to it, Amazing job though! NOW THIS IS MY KINDA GAME AM I RIGHT? I loved the game, it was both deep, had a cute style, and was a very interesting take on something very serious. 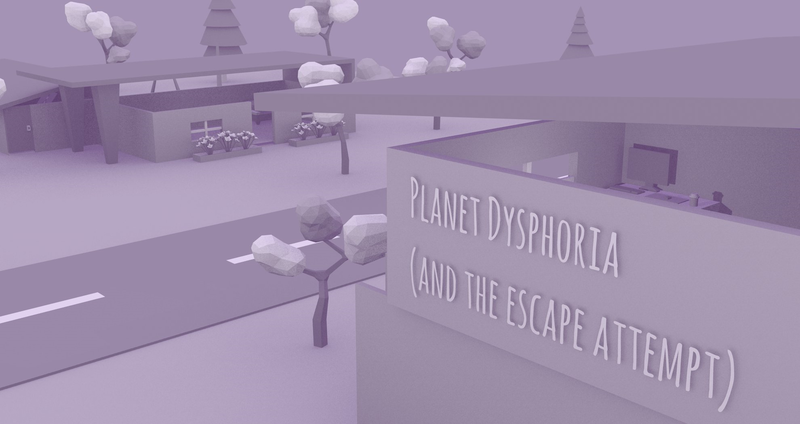 I gave the game a go, and I must say that This was quite quirky. the music really suits the atmosphere and theme of this outlandish experience, and I enjoyed the narration. The last sentence was pretty interesting to me. The tone seems satirical and cynical. Not sure if it was meant to be that way, but it's just my interpretation. Anyway, good job. great game enjoyed it alot!!! I really enjoyed this game! it was something different and was quite entertaining! good job on creating this! Unless there is something I am missing (a plausible and probable possibility) I cant get the hatch open. Either a missing detection trigger or I just can't look down far enough. Is this intentional or am I a dumbass? Hey CoalFire, I accidently uploaded the wrong build into Itch with completely messed up variables haha. Very soon (definitely within the next hour) I'll be reuploading builds with the correct numbers to allow the game to be completely played. Sorry about that. No worries! It is a really beautiful game, I was worried I was just completely overlooking something. Doing a video on it! Indie games are my favorite! Always some special gems out there and the devs are always a lot more receptive to feedback. You always end up seeing some really interesting concepts and ideas which is why this one caught my eye. Lemme know when the new version is up, I'm excited to see it! New builds up (plus the OST for those that enjoy it)! I look forward to your video, make sure to drop it's link once you've uploaded it. And if you have any questions about the game feel free to ask.